Experience Central Australia's iconic Outback towns of Birdsville and Innamincka. Absorb the vast, endless horizons of the Australian Outback, 4wd into the Simpson Desert. Indulge at the famous Birdsville, Innamincka and Mungerannie Hotels - and much more..
Day 2: Spend a day in this historic mining town - visit the Living Desert reserve and sculptures, art galleries, mining displays or the famous "Silverton" ghost town. Day 3: Further "Outback" today. Off to Tibooburra, visiting the unique town of White Cliffs on the way - Overnight at Tibooburra Hotel-Motel or Cabin. Day 4: To "Cooper Creek" country today via Camerons Corner via the old Strzelecki Track - view the Dingo Fence - Overnight at Innamincka Hotel - Motel Rooms. Day 6: Travel to Birdsville - visit the Burke & Wills Dig Tree and Cordillo Downs Shearing shed, where up to 80,000 sheep were shorn by shearers who rode their bicycles from Farina on the old Ghan Railway, crossing over the Cobbler and Sturts Stony deserts to get there and then back again afterwards! 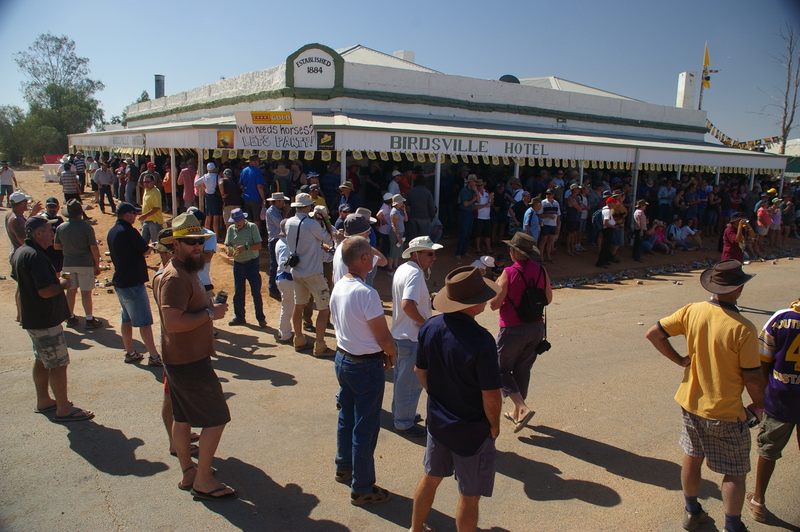 Overnight at the Birdsville Hotel or Cabins - depending on availability. Day 7: We visit Big Red (the largest sand dune on the eastern edge of in the Simpson Desert). We spend the morning travelling in a westerly direction into the Simpson Desert as far as the usually dry Eyre Creek - for picnic lunch under the shade of an old Coolabah Tree. We return to Birdsville for the afternoon which is free time to walk and explore the inland oasis of Birdsville. Overnight at Birdsville. Day 9: Today we head for Adelaide - on the way we visit the colourful ochre deposits at Lyndhurst, past the large open cut Leigh Creek coal mine - Wilpena pound - Hawker & Quorn to historic Melrose the first town in the Flinders Ranges. We pass through Laura before joining Highway 1 onto Adelaide at approximately 6.00pm.